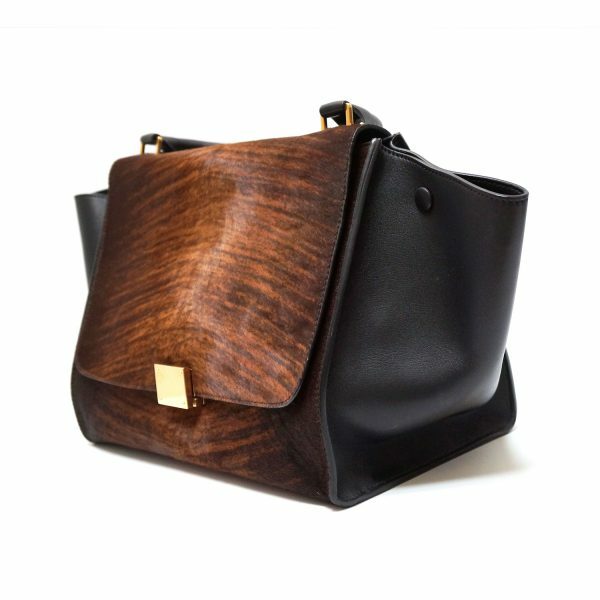 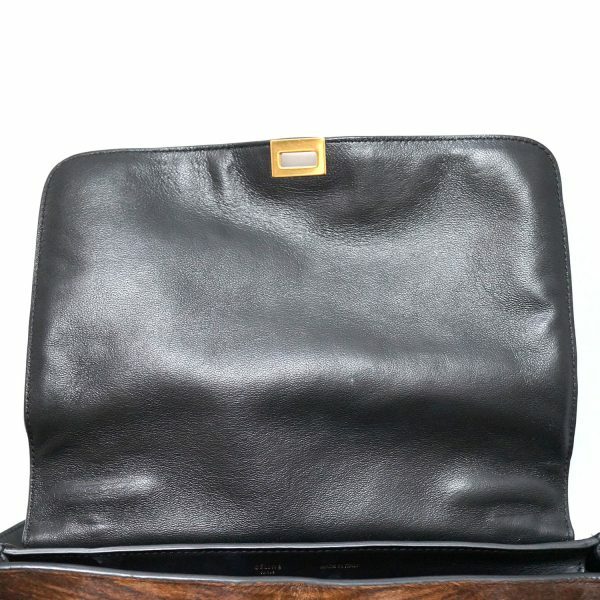 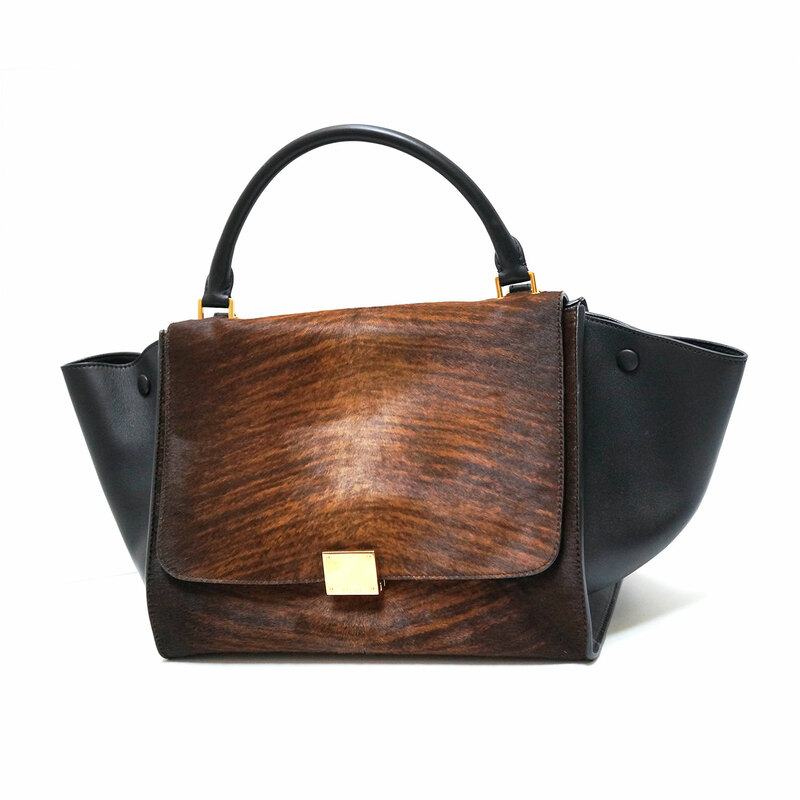 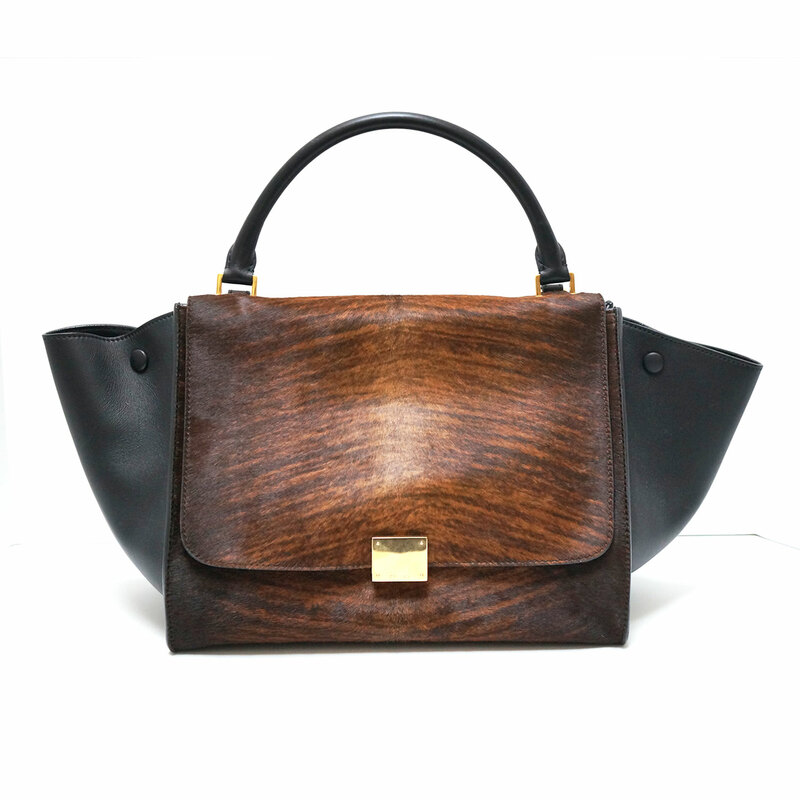 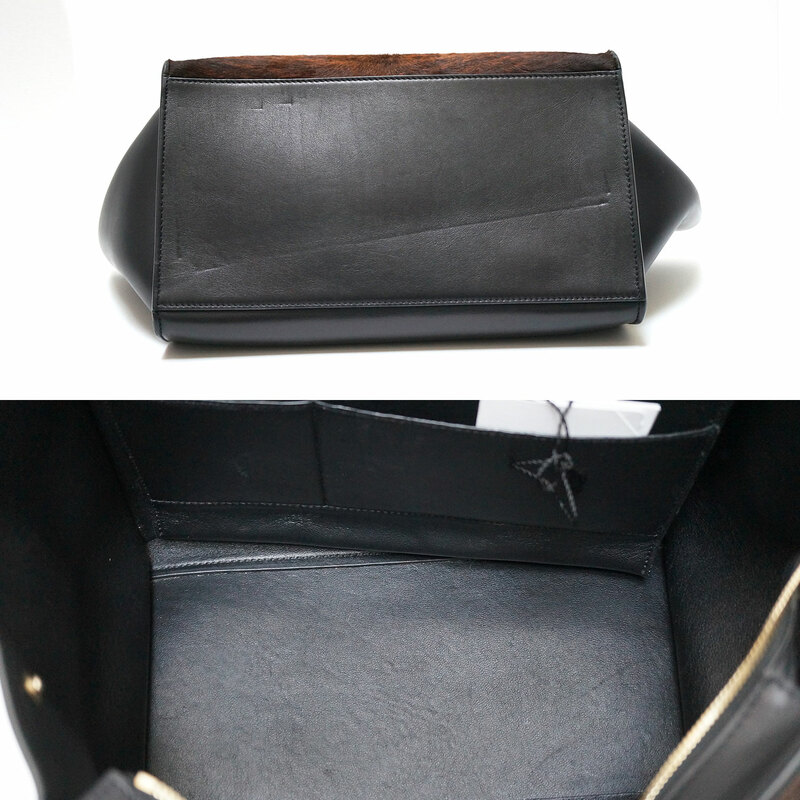 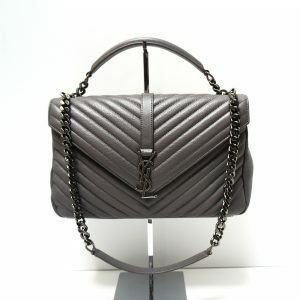 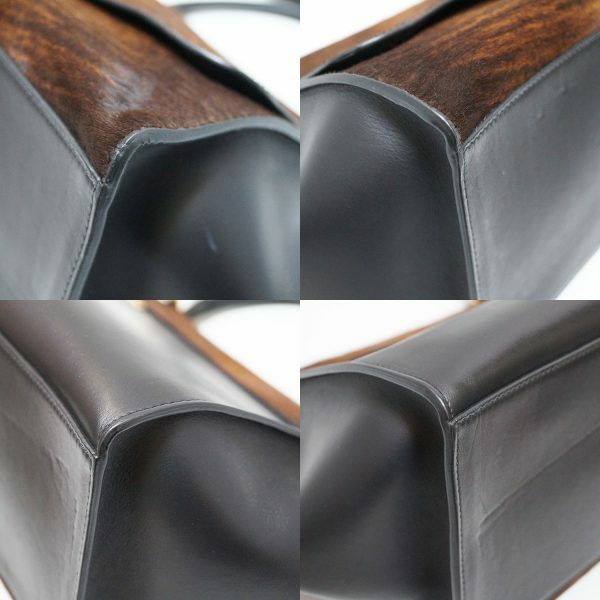 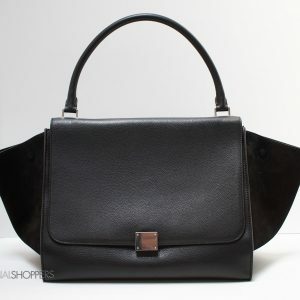 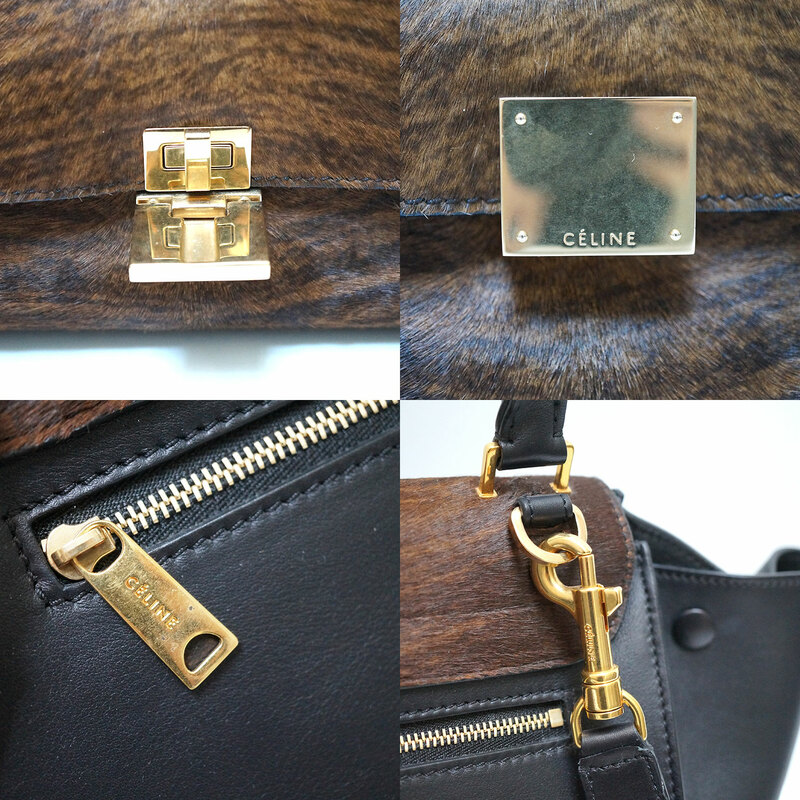 Rare CELINE Trapeze crafted of black leather and shades of brown pony hair. 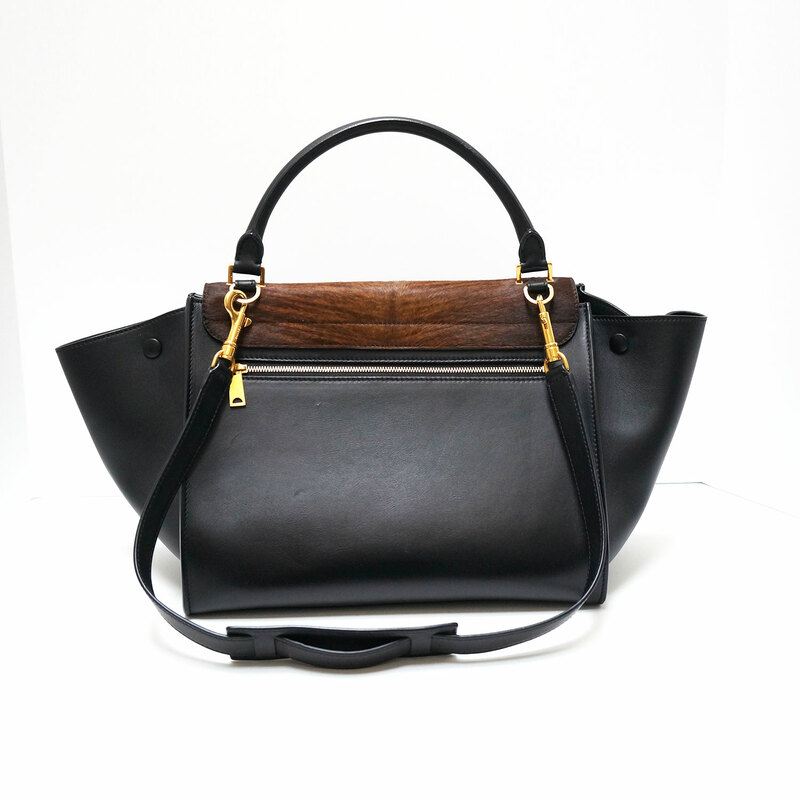 Optimal comfort and room with this now classic style just in time for fall! 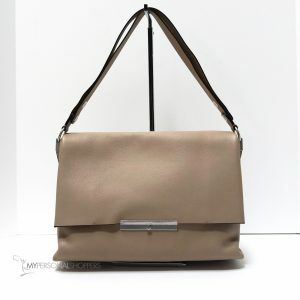 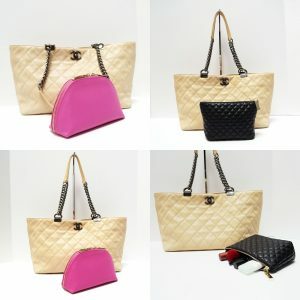 Perfect for day, travel or evening. 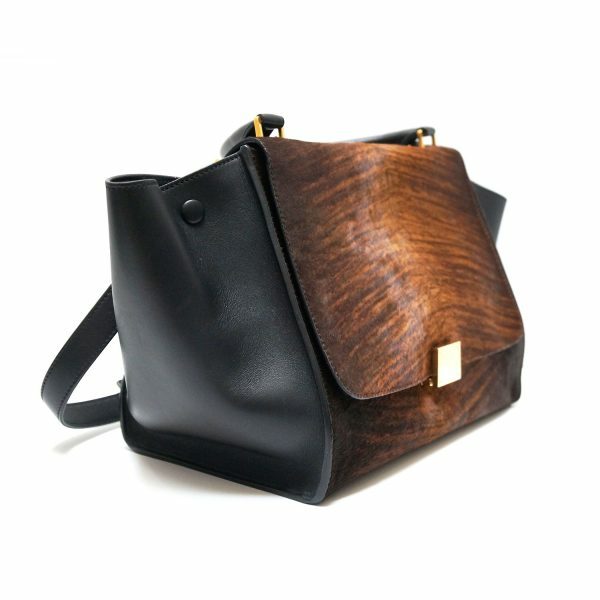 Easy to tote this beauty around on your shoulder or on your arm. 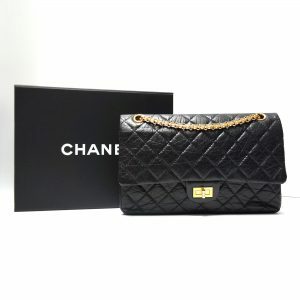 In good pre-owned condition with come signs of use – please refer to pictures. Clean inside and out. Please be familiar with the original design of this style, specifically the zippered pocket in the back. 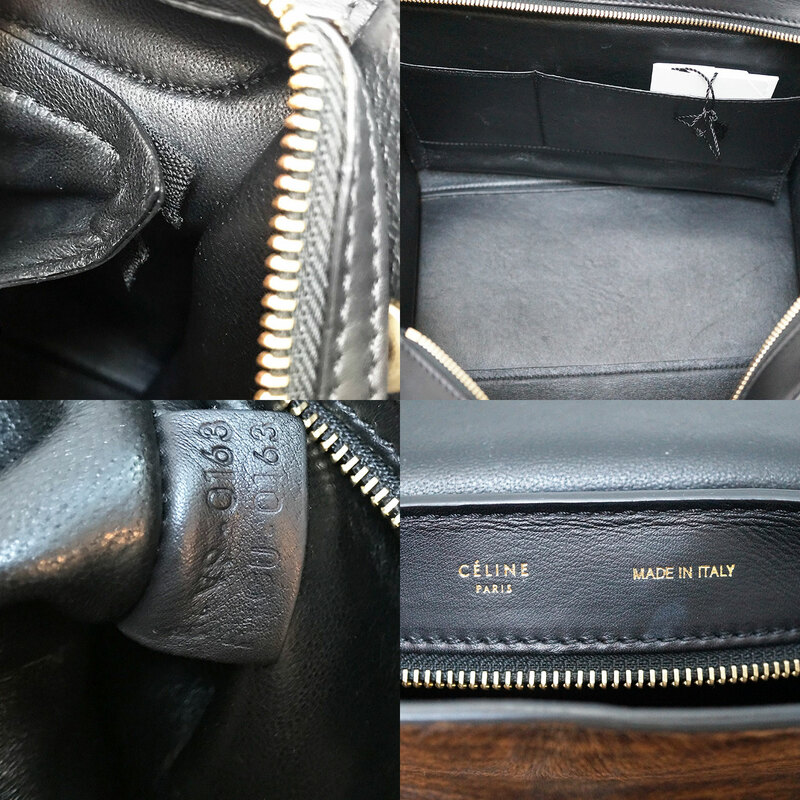 Comes with Celine dust bag an tags.